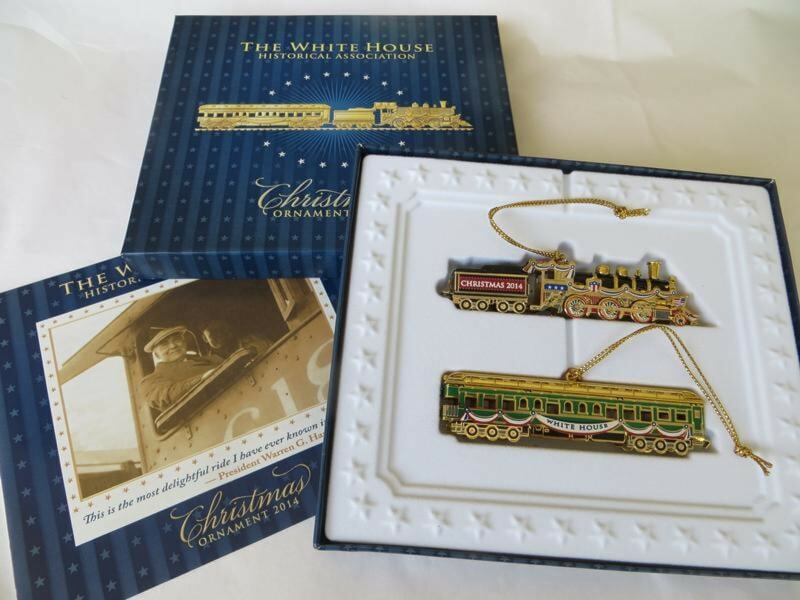 The 2014 Official White House Historical Association Christmas Ornament honors President Warren G. Harding, who served as the 29th president of the U.S. from 1921-1923. As a child, Harding dreamed of growing up and becoming an engineer. As President, he took over the helm of Alaska Railroad #618 for 51 minutes, during his famous transcontinental speaking and sightseeing tour called, "Voyage of Understanding." It was reported that the Hardings “had as much fun as two youngsters on their first train trip.” “This is the most delightful ride I have taken in my life!” the President said in 1923. Unfortunately the train that carried him west at the beginning of his trip also carried his casket back east to Washington DC, following his sudden death from apoplexy or a stroke, in his room at the San Francisco Palace Hotel on August 2, 1923. His casket was elevated to allow mourners to see it through the windows of the Superb as the train passed through towns across the country. An estimated 3 million people paid their respects. Mrs. Harding later gave the white gloves the president wore while at the throttle to the engineer as a memento. 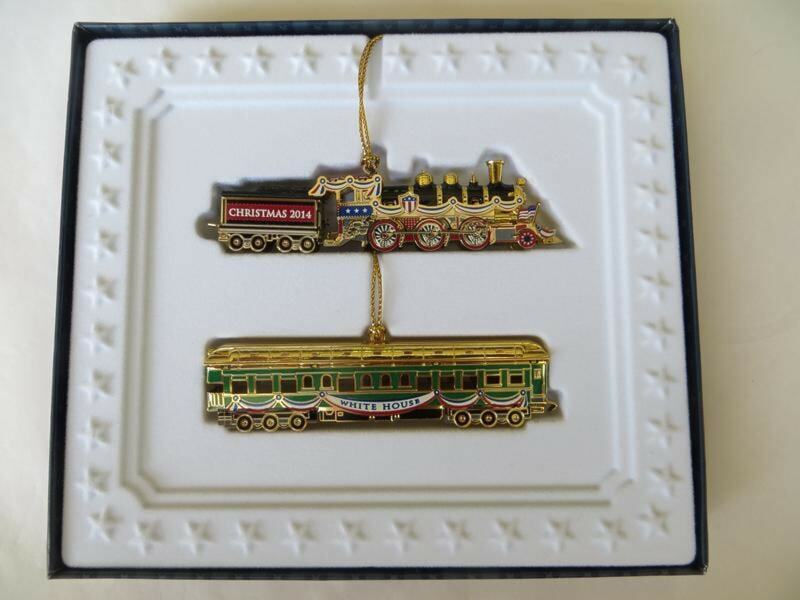 The inspiration for the 2014 ornament came from his love of trains. The gold, red, white, and blue enameled engine is a replica of one of many steam powered locomotives that pulled the Presidential Special. Attached is the coal car that fueled the engine. 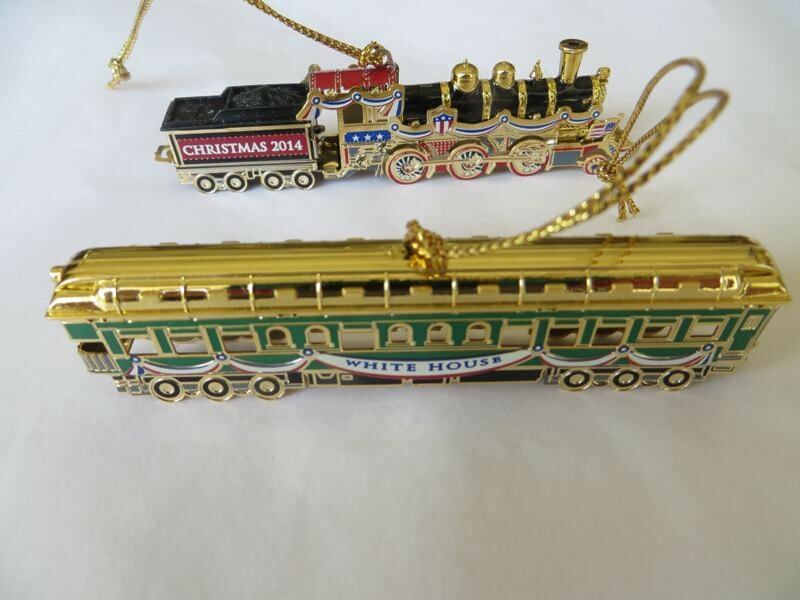 This ornament can be hung separately or attached to the President's private Pullman car. Called the "Superb", this gold and green car was outfitted with 5 bedrooms and baths, a kitchen and observation room. White House chefs, valets and other domestic staff accompanied him on the journey. The Superb also was equipped with a public address system, from which President Harding made his speeches. 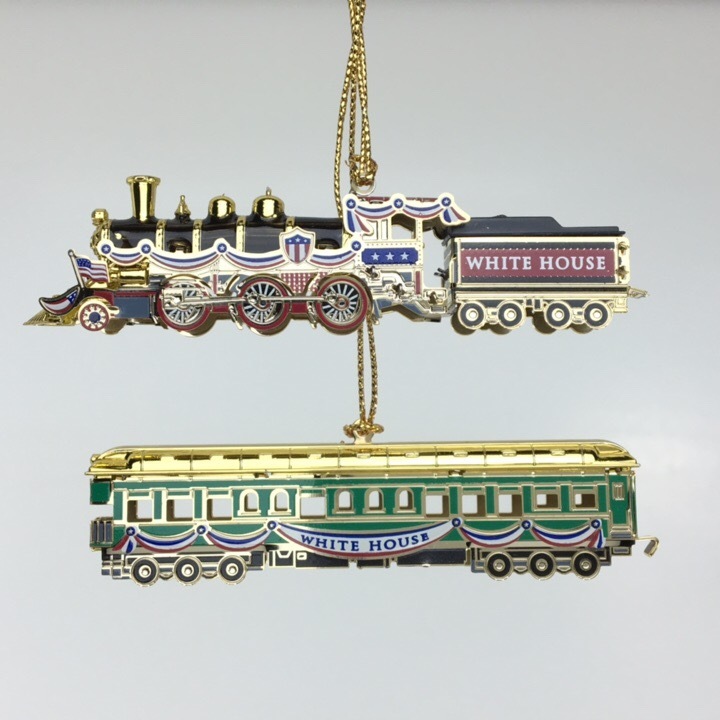 This unique, first of its kind, two-piece official Christmas ornament will add a new dimension to your collection of White House presidential ornaments. The first ornament was created in 1981. The sale of such ornaments helped to fund the acquisition of historical furnishings and artwork for the permanent White House Collection. 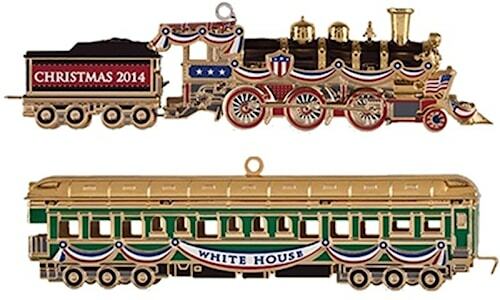 Save when you buy the 2014 White House Ornament and Patriotic Flag Ornament together. This is a beautiful set that will complement each other on the tree or under it! 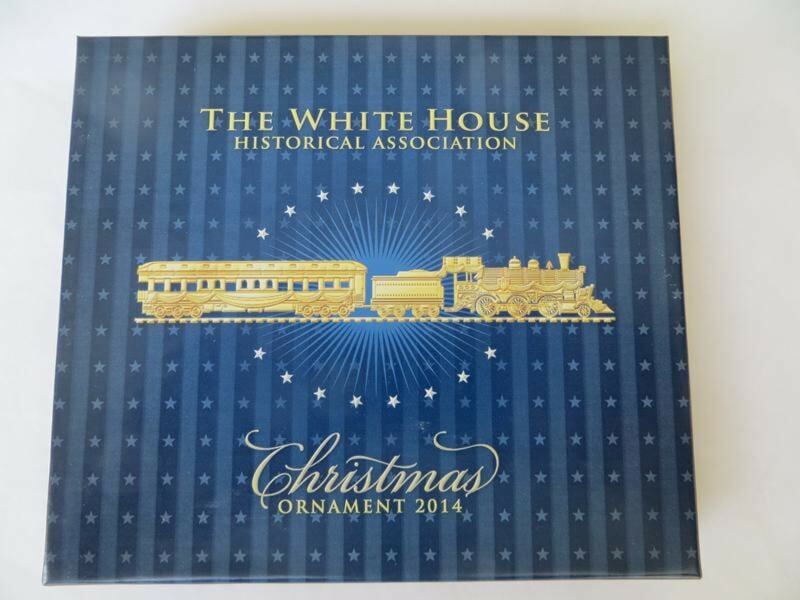 Buy the 2014, 2013 and 2012 Official White House Ornament and Save! Save when you buy the 2012, 2013 and 2014 ornaments today! 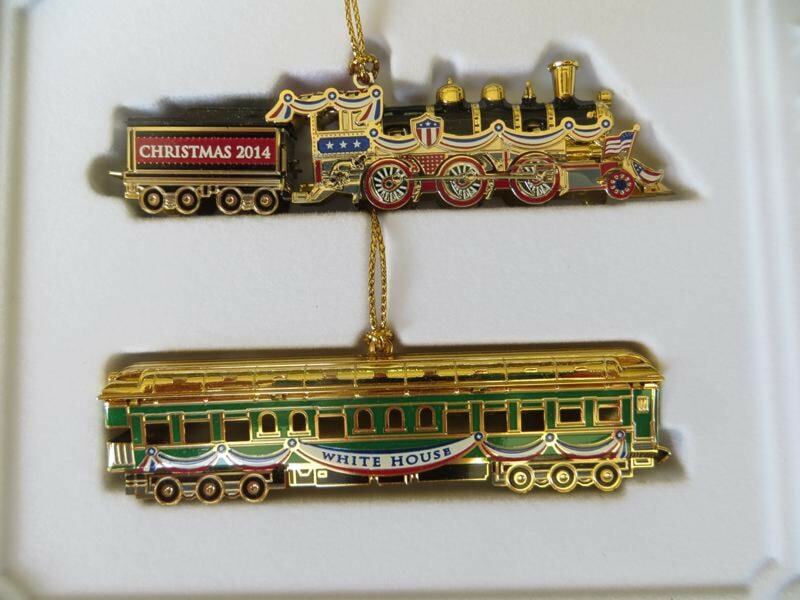 Buy the 2015, 2014 and 2013 Official White House Ornament and Save! 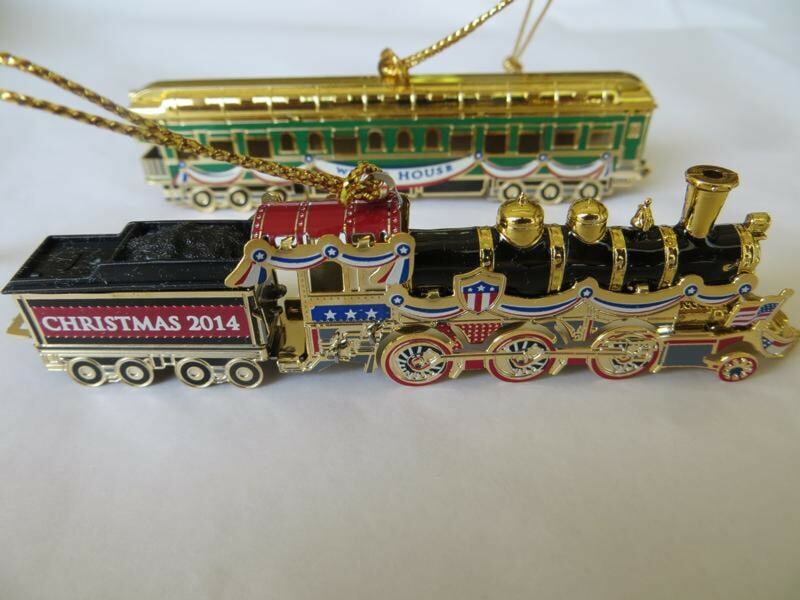 Buy all three of these wonderful ornaments and save today! 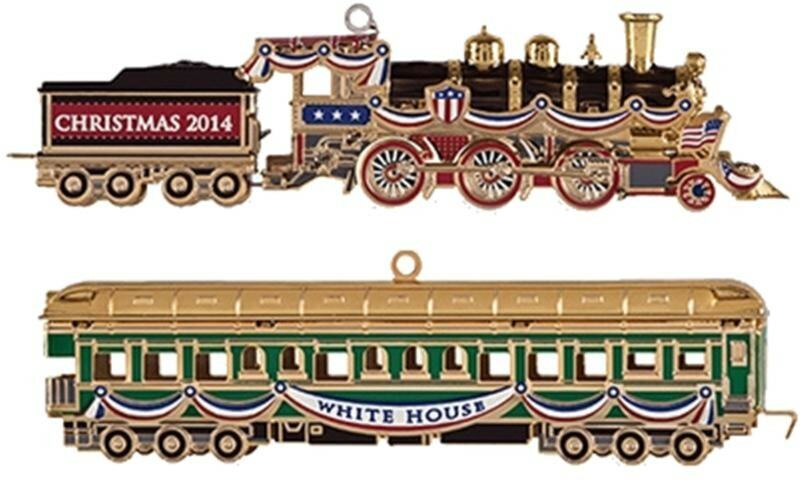 Buy the 2015 and 2014 Official White House Ornaments and Save! Save today when you buy these two ornaments together!